The fireplace surround gives a fireplace its frame. Typically made from wood, stone, composite, brick, or concrete, the surround transforms the fireplace into a modern design element, a traditional statement piece, or a rustic setting. 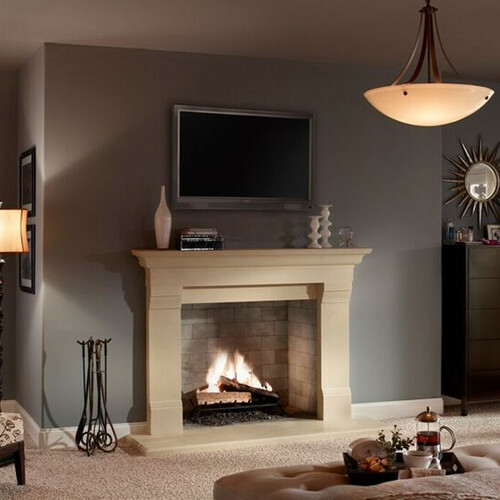 If you’re interested in updating your fireplace surround, avoid the common pitfalls of custom construction. Ready for fall? 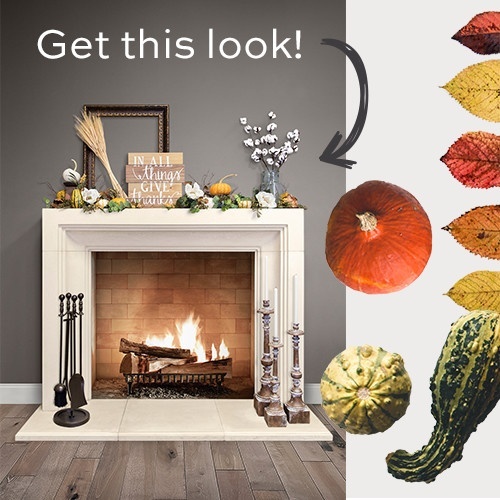 We're here to help you get in a festive mood with our instructions for decorating your perfect fall mantel. 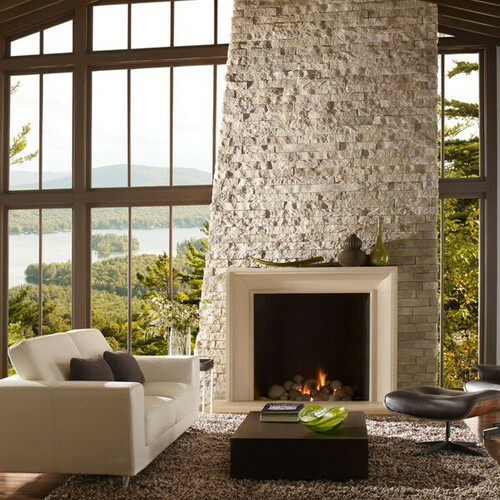 A fireplace is a focal point within the home. It draws the eye and sets the tone for the décor and furniture. If you want to update your home without a major remodeling project, consider making over an old or outdated fireplace. Freshen up your home with a new surround, the right mantle, and the right accompaniments. We’ll show you how. As the weather finally turns crisp and the leaves begin to turn, autumn is officially upon us. As October comes to a close and we look forward to November, we realize Thanksgiving is just on the horizon. If you’re entertaining guests this holiday season, begin your festive decorating preparations now. Follow this step-by-step guide to turn your mantel into a festive celebration of the Thanksgiving season. When you walk into your bathroom, you want to feel a sense of calm. Your very own home spa will allow you to breathe out the cares of the day and breathe in serenity, peace, and happiness. If your bathroom doesn’t leave you feeling warm and comforted, consider an upgrade to give the space a more healing design. 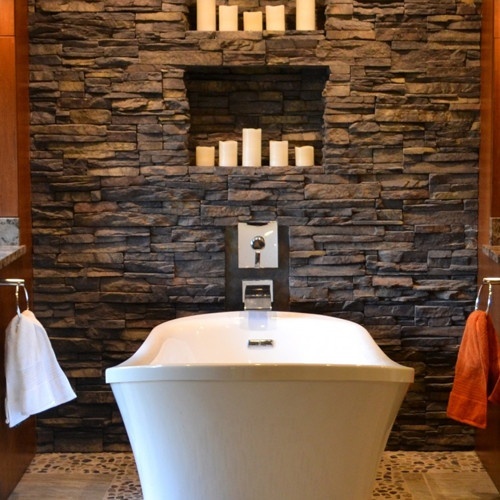 A stone accent wall or a stone encased bath will give your bathroom the luxury and Zen feeling of a spa on a daily basis. As fall settles in, start thinking about how you want the focal point of your space (the fireplace) to look. From a stone fireplace to a modern take on an old shiplap mantel, your fireplace represents the home, your style, and your personality. Explore these fireplace surround ideas to find the perfect design for your home this year. Here are some of our favorite fireplace surround ideas, including all kinds of materials, colors, and accents. An accent wall can elevate a space without any additional décor or furniture. A pop of color, texture, or a new material will add depth and visual interest to any room from the bathroom to the kitchen. 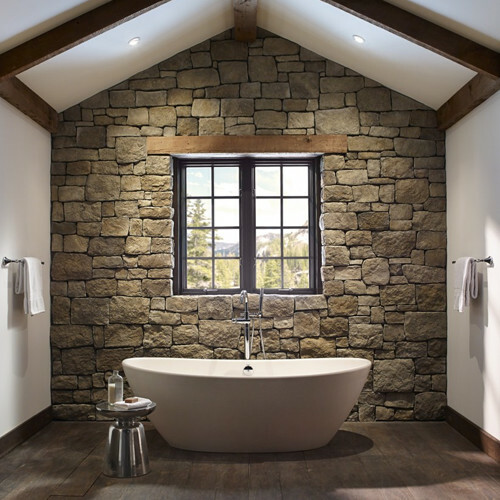 If you want to add a new dimension to your home without undertaking a more in-depth project, consider a stone accent wall, a wooden wall, or an interesting paint design to give your space a different look and feel. 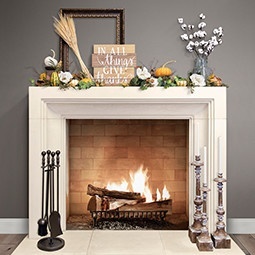 Decorating mantels gives homeowners an opportunity to change the look and feel of a home for the season or a holiday. On Halloween in particular, mantel décor ideas range from witches and potions themes to more traditional pumpkin and spider web layouts. 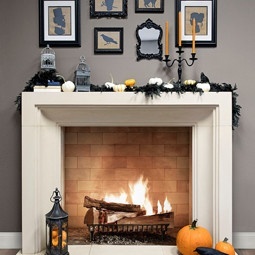 Consider giving your mantel a spooky makeover in keeping with the theme of the day. Curb appeal means so many things to so many people that it's hard to figure out where to invest your energy, time, and money. 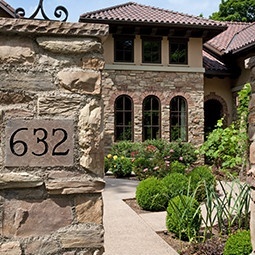 Exterior improvements can encompass everything from simple DIY upgrades to major landscaping projects and there are literally hundreds of ways to enhance the look of your home. 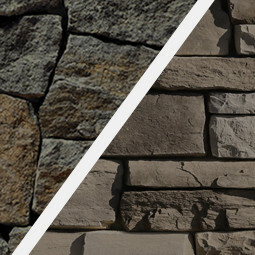 Stacked stone has seen an incredible bloom in popularity in recent years. In the past, it was restricted to outdoor use in the form of exterior finishes and accents. Now, it can be found in kitchens, bathrooms, living rooms, and even bedrooms all across the nation. Adding this surface into your design plan can be a fantastic way to show texture and character while upping the value of your home.